I already pretty much knew what I was going to find when I cut the old filter apart this morning given the drastic change in oil pressure I observed, however, suspicion confirmed. I noted a very thin film of that gray pasty stuff you get when breaking in a new motor covering most of the filter media...…..filter plugged. Now that the new motor is all sorted out I went out with Track Addict this afternoon to see how it stood vs the old motor. Given how much nicer to drive & more civilized this motor is, I'm very pleased to find out that its actually quicker too! 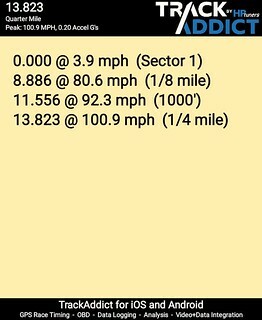 Not sure why the 330' stats didn't show up......they were 6.06 @ 64.5 MPH. 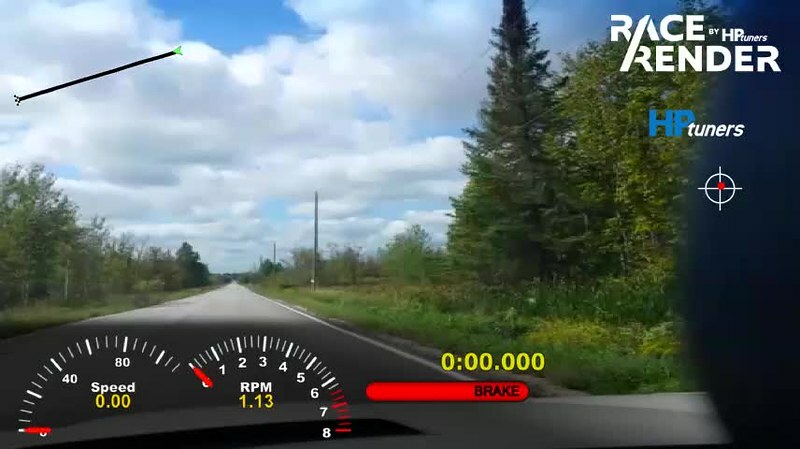 Note that I've modified the tach to show distance travelled rather than RPM. Last edited by auto_god on Sun Oct 07, 2018 8:22 am, edited 4 times in total. Well seems I called that one! A little annoyed at all the work and expense I had to go through in order to pass only to have the program scrapped, but on the upside I would expect that classic cars in the 1988 to 1996 timeframe will become more desirable now that the owners won't have to deal with emission testing anymore. I know. Never saw it coming. Glad that they decided to scrap it. I suspect that there are still a lot of lurkers as the views of this thread are currently in excess of 55,000. Now up to 63,000 views.....clearly there are lots of people on here still, sadly none of them care to post anything! Given that the amount of time I've been able to be out enjoying the car has diminished to almost nothing, I've been spending some free time here and there working on bringing the original engine back to life. 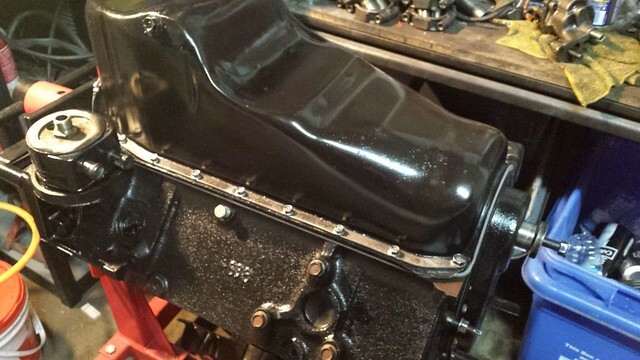 New cam bearings installed and the original L98 cam is back in her original home. New main bearing installed and the crank set back in place. 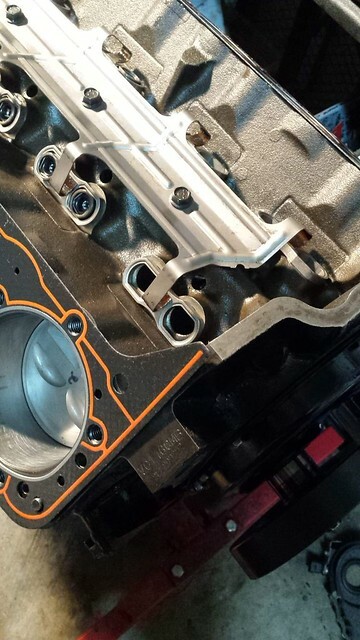 Brand new oil pump to replace the one that started the whole issue to begin with. 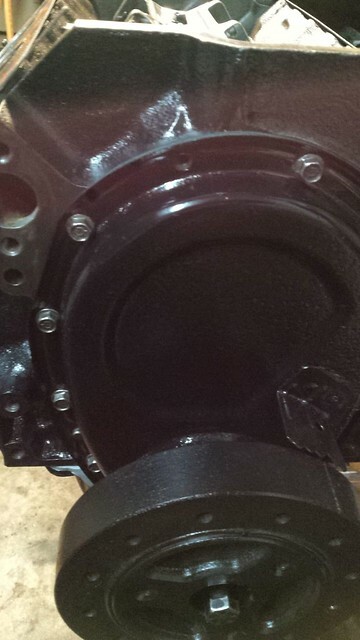 Should have a new rear main seal installed tonight......then its time to start file fitting rings. I hate that part! Lol! Hopefully within a week or so of fiddling around in the evenings the bottom end should be bolted up and ready to........sit on my engine stand standing by just in case. If I get ambitious perhaps the other bank will get done this weekend. After getting sidetracked for quite awhile , last night I finally got back at my project of resurrecting the original L98. 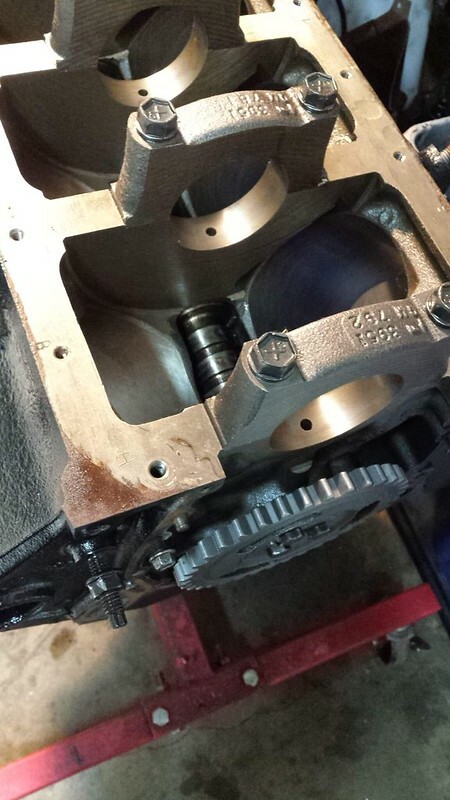 Short block is fully assembled and ready to go...….almost. Despite my usual bagging and tagging of fasteners when I take things apart I managed to lose one timing cover bolt! Oh well......I'll pick up a new set today. 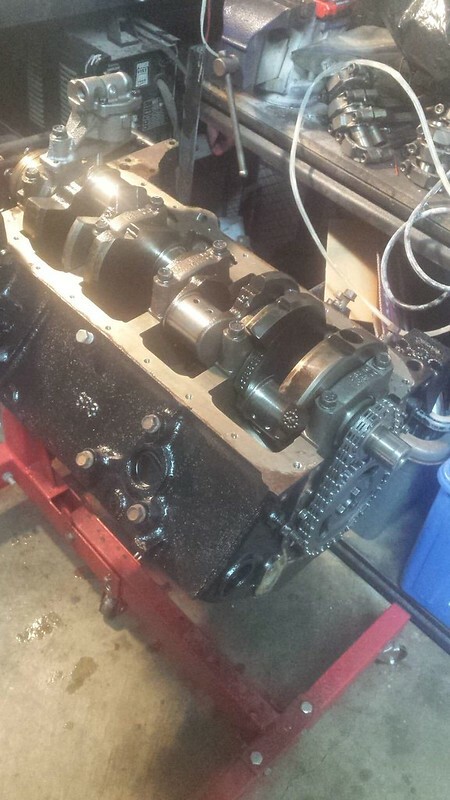 Five more lifters to take apart, clean, reassemble & I'm ready for cylinder heads. 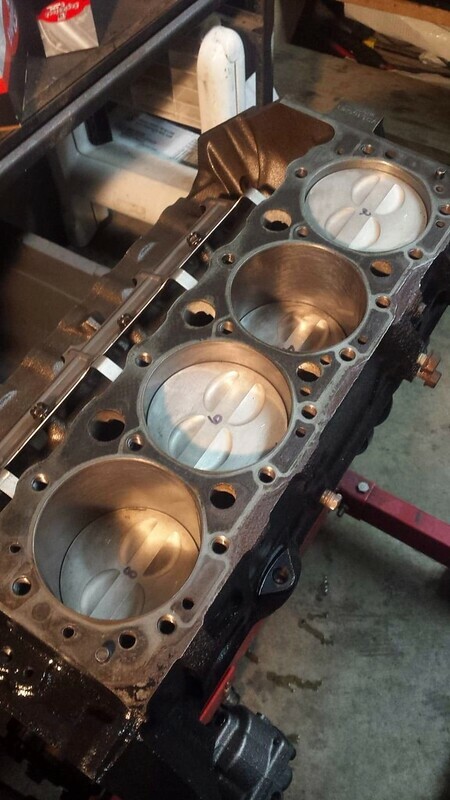 On the question of the cylinder heads though, I'm trying to decide whether to leave them in their original form, or give them a mild port/clean up job before installing them. Given that the rest of the engine has been returned to original, I'm leaning towards leaving them original as well just with a clean/paint job, new seals etc. Woohoo! 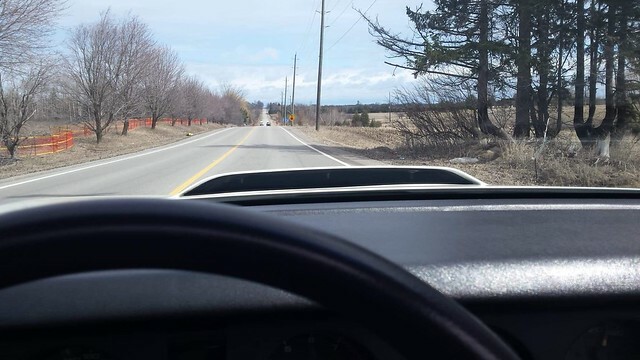 The first shakedown cruise of the year is always so enjoyable! I was pretty happy it cranked up first turn of the key, warmed up and drove absolutely perfectly for the entire trip. I had basically just pulled the cover over it last November and not done anything to it until I fired it up this morning (other than leaving the trickle charger on). Hopefully this spring is less eventful than last spring did (a fuel pump failure followed by an engine swap!) I`d be quite content to just be able to just enjoy it this year.